Interface is technique or concept which is used to add set of behavior or functionality to be mandatory. When we derive into class then class has to implement each thing that is in Interface. Something like making skeleton and then giving different look and behavior using that skeleton. Decoupling of object and its implementation is possible because of interface. Above cycle skeleton can be used to derive any brand of bicycle with different feature values. Interface has by default all fields, properties and methods Public. But you can have internally private and use it appropriately inside interface. One which is public has to be implemented in inheriting class So it better than having base class. Class can inherit as many as interfaces So structures can also use interfaces. Interface does not have implementation only declarations. It is highly used to design architecture. So it is architecture job to define what to be exposed and what not to client. Quick walkthrough on C# features. Object Types: It is parent type of all other known types in .Net. If used as an argument in Method call then passing any type to method will cause late binding assignment to that argument. Value and Reference Type: This type categorized on the storage of value in memory. Value Type are stored in Stack. e.g type INT, DOUBLE. Reference types are stored in heap. e.g Type String and Object. Converting value type into reference type called as Boxing and reverse is UnBoxing. C# allows simple and component variable declaration. It is declared as set which are mapped to integers. This type allows us to have series which can have their mapping to unique integer value inside the set. Arrays: This type holds list. OPERATORS Representing symbols for operations. e.g Arithmetic[+, _, +], Logical[||, &&], String Concatenate[&], Increment and Decrement[+=], Comparison[<=, =>], Cast[()] etc..
FLOW CONTROL Controls the flow of your programme. e.g conditional statement [if ..else, switch], loops[while, do..while, for, foreach], functions. CLASSES Class is type which includes all types, members, methods etc. It has visibility, its lifetime, relation, inheritance, method overloading.. REFLECTION Dynamically gather information of underlined type in late bound fashion. e.g Attributes allows to attach metadata to class and its members. INTEROPERABILITY This feature facilitates to work with other programming language and API. COM INTEROPERABILITY: This allows to integrate legacy components with .Net classes. 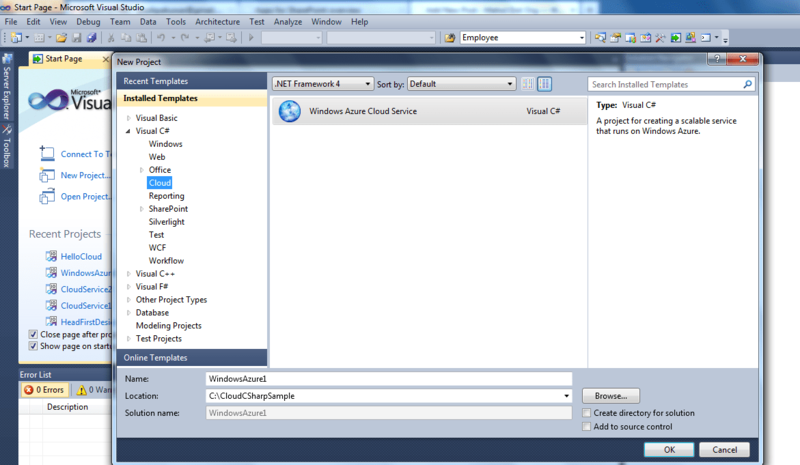 INVOKING WINDOWS API: This is same as VB6 feature to invoke and use windows API. Reference dll and create wrapper functions. Microsoft office 2007 OneNote How to use OneNote? First Lets understand OneNote. What is OneNote? It is one of information capturing service or feature of Microsoft Office 2007. Capturing notes, saving notes, browsing your notes and also sharing notes is all possible with our regular paper notebook.. Here is the difference, Its all that what we have been doing for taking notes in office or any other place and writing information into our NoteBook and In one OneNote it is mobile, we can carry anywhere and share anywhere. What is special in OneNote, well you can carry your text capturing device anywhere so you have onenote that device whether its smartphone or digital notebook, windows phone , Second its office features, graphics and speed So you can carry it anywhere and share it. Unlike Paper you can copy info from other files, you can copy , create images and save it in page. For onenote you can work offline or work online. Onenote has text, Image, video , audio capturing features. You can create your own template and customize it. Can share notes with others. You can use notebook multiple computers. You need to install Office 2007 for better features.Latest you have Office 2013 Onenote. 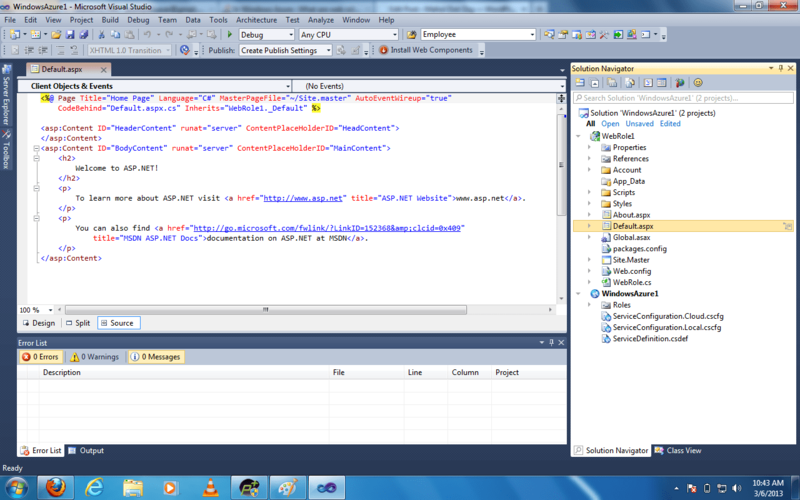 Now I have Installed Windows SDK 1.8 kit and started developing asp.net application using video shown in MSDN. But the catch is it is old and the configuration or publishing site ways are improved. 3) Give name and location of project to save. Have patience here it takes time to get your code files service files to be generated. 4) Now you can do implementation in your project which is of WebRole type. 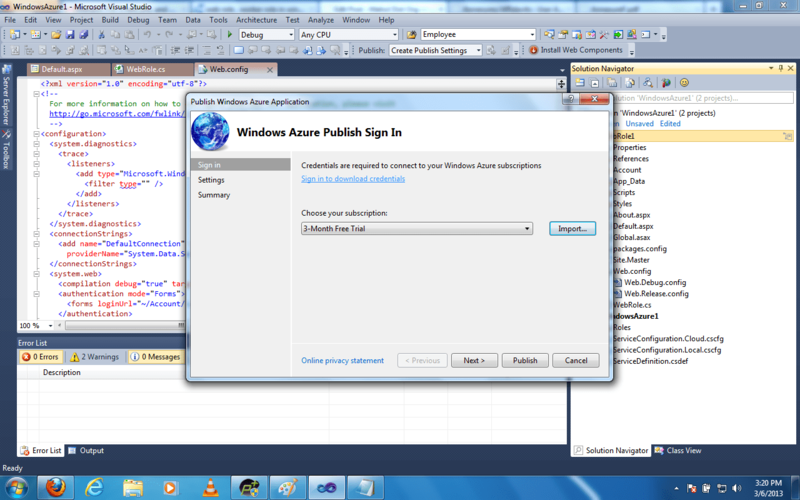 6) Now here your Windows Azure journey starts , Create Login in if you have already use it. When you try for Trial you still need to provide your bank account details. When you come to Publish First windows will be asking Import credentials which you have, If you have not saved your Credentials from Windows azure login save it by choosing Sign in to download credentials. 7) Here you need to fill correct details. 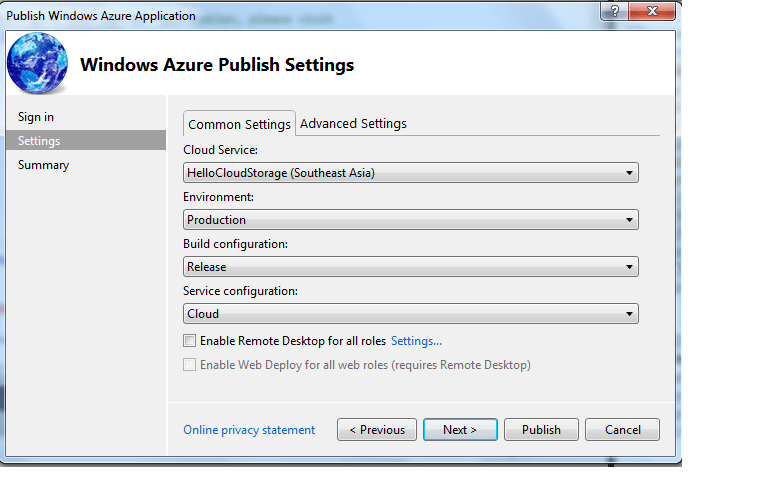 Read about Windows azure before you do settings in publish. As per above image you need to specify Cloud Service(Select Create New from drop-down and give name and location) Name which we give here will become your URL. Provide all other details as well. 8) Go to Advanced Setting Tab and create New Storage Account. 9)Click on Publish.. and Wait for Status in task bar of your project as completed. 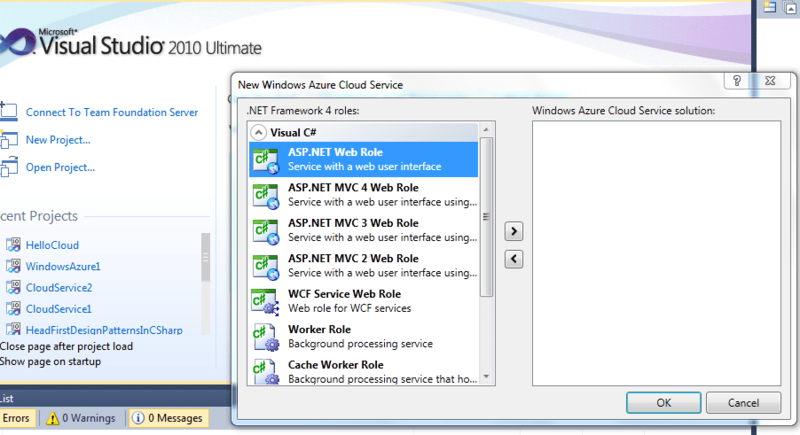 This time here it will perform connection with Windows Azure and create your application. 10) Ones you have no failure and Status shows as Completed you can click the URL given in output results and browse. few steps are different than the videos given by msdn. Standard Action Tags In JSP are meant for performing some action at run time. As the name of the tag itself suggests these tags are used for run time behavior. Unlike scripting tags which are meant for generating related servlet code at the time of translation,Standard Action Tags In JSP generates code for run time behavior. There are so many other tags as well amongst which these are some and important. <jsp:include file= ”AnotherJsp.jsp”/> : This tag is used for run time inclusion of another JSP page in an existing one. This inclusion is not similar to inclusion with include directive. Include directives are meant for static inclusion. This means that the code from the included JSP will be included int the including JSP at the translation time. But in the case of <jsp:include file= ”AnotherJsp.jsp”/> tag a run time call to the included JSP is done and the response from the included JSP is added to the response of the including JSP. <jsp:forward file=”AnotherJsp.jsp”/> : This tag is used for forwarding the request to another JSP at run time. The difference here from run time or dynamic inclusion is that here the response from the forwarded JSP only goes to the user and the response from the first JSP from where the forward happens gets flushed out. <jsp:useBean id=”obj” type=”SomeBean” class=”SomeBean” scope=”request”> : This tag is used to create or fetch a java bean object ,set or get its property value/s and retrieve or set this java bean object in certain scope. Java Sever Page (JSP) is an abstraction for servlet in which we have less java code and more tags(HTML and JSP). A JSP page is basically used for views with dynamic data(unlike HTML) and evolved basically for people who do not know java and still work at j2ee server side programming. 1.Page Directive : It is used for imports,encoding etc. b. Declarative Tag : These tags are used to declare variables or methods for the servlet translated servlet class. c. Scriptlet Tag : These tags are used to write java code inside the JSP page.What goes inside the scriptlet tag is merged into the service method of the translated servlet code. d. Expression Tag : These tags are used to print expressions.What is written inside this tag goes as an argument for out.print() inside the service method of the translated servlet. It should be noted that we do not use semicolon inside expression tag because it will go as an argument in ou.print() function,hence will result in syntax error.While in case of declarative tag and scirptlet tag we use semicolon. Here we have overridden the jspInit() method in the declarative tag.Since this method is called by the init method of the translated servlet code we can access the servlet config object with the help of getServletConfig() method as it is passed by the server to the servlet through init() method. This method (jspInit()) will appear as an overridden method in the translated servlet.The point should be noted here that init() method in the servlet calls this jpInit() life cycle method of the jsp page so it can access the servlet config object.The life cycle method _jspService() is not permitted to be overridden .Initialization parameters for the the JSP page can be understood as the configuration parameters to be accessed by the translated servlet.After all a JSP page is a servlet at the end of the day and it is the translated servlet only which processes the requests from the clients. Here we can find that the same way as we declare init paramters for servlet within the servlet tags,the same way we make an entry for the JSP page so that the init parameters can be declared for that particular JSP page.The only difference is that instead of he <servlet-class> tag we use <jsp-file> tag.The url pattern for the JSP page is same as the JSP file name as we use the JSP file name as URL pattern in the request.Inside the <jsp-file> tag we use the JSP file name with .jsp extension because we need to access the JSP page and not the servlet class. This is the way we declare servlet init parameters for the JSP page inside the web.xml file.We call it as servlet init parameters for JSP page because these init parameters are sent to the servlet which is the result of translation of the JSP page.And these are used as the configuration parameters for the translated servlet.Now the init parameters can be accessed in he JSP page code. As we know that session needs to be maintained because http is a stateless protocol.Due to which connection is lost or session is lost after every request response cycle between the client and the server.In order to maintain or track the session the server needs to get the additional information of the session id so that the session object pertaining to the client or server can be retrieved at the server side and the session can be managed.The session can be managed by either cookies,hidden parameter or URL rewriting. The first time the server tries with both cookies and URL Rewriting ,if it finds that the cookies are not coming it checks for session id as a part of URL Rewriting and finds that it has to fall upon URL Rewriting if the code has provisioned that. Now in order to find out which attribute/s is/are thread safe,we can ponder upon with following discussion. As these attributes are accessible throughout the application,any servlet or any other web entity can update or get these attributes from various parts of the application. Since application attributes can be accessed or modified by any servlet in the web application,these are not thread safe. When we talk about thread safety of session attributes,at one glimpse it deceives to appear as thread safe. In cases where we have the new tab feature in the modern browsers,the same session for the web application is opened in the new tab. In such case, if session attribute are updated from one tab will be reflected in the another tab with the same session. Thus we can say that session attributes are also not thread safe. As we know that each request is a unique object , whatever attribute we set at request scope cant be updated or get from another request. Thus request attributes are thread safe. Conclusion : Thus request attributes are thread safe and application and session attributes are not.